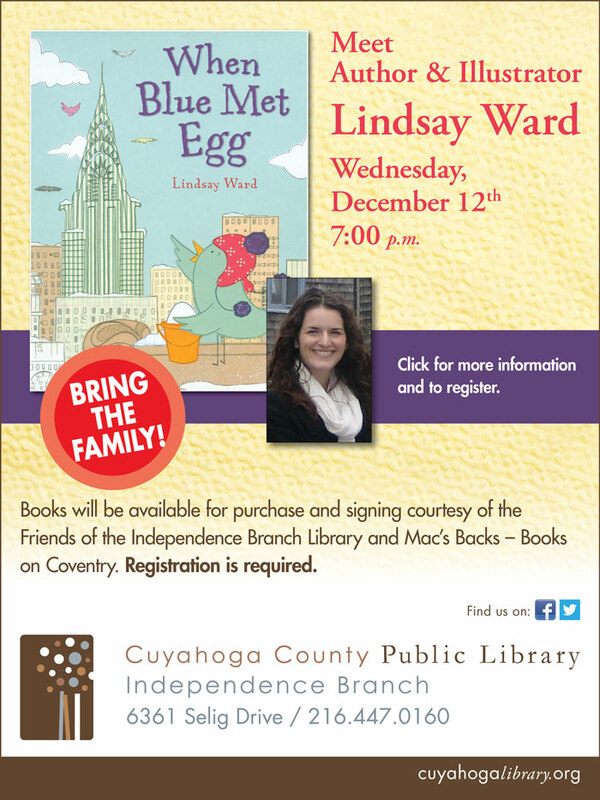 Book Signing at the Sunbeam Shop in Cleveland Heights! 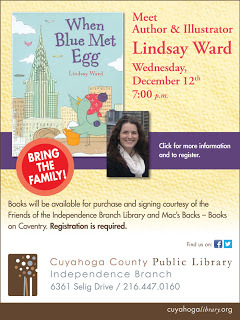 Cuyahoga County’s Best Books of 2012! 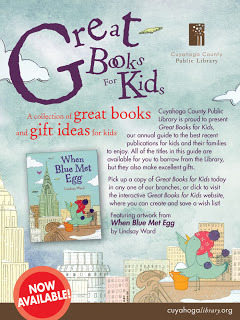 I am very honored this year to be chosen as one of Cuyahoga County’s Best Books of 2012!!! 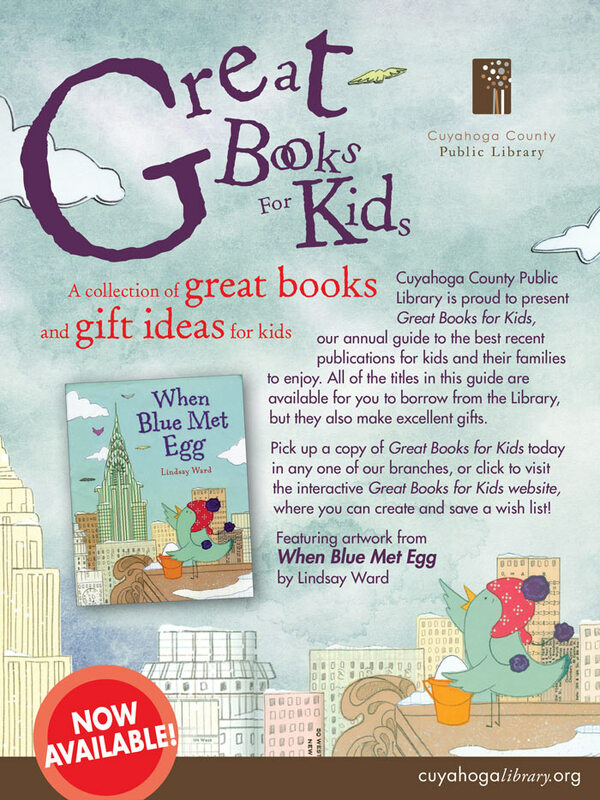 Not only did they choose to include When Blue Met Egg on their list, but featured artwork from the book for the brochure and website! Along with Blue there are a bunch of other fabulous books for all ages that everyone should check out ASAP! I’m already adding them to my Christmas list this year!